AMCP is a producer-led not-for-profit organization governed by an elected Board of patrons from pastures across the province. It was first organized by concerned pasture patrons in Manitoba after the federal government announced it would discontinue operating community pastures (formerly the Prairie Farm Rehabilitation Administration). The transition process is now complete and AMCP is operating 20 community pastures as of 2016. AMCP is committed to ensuring that Manitoba’s community pastures continue to provide valuable grazing land for local cattle producers as well as protect some of the last remaining natural prairie ecosystems in the province. These two priorities can be reached at the same time: a well managed grazing rotation system removes woody growth and plant litter, allowing native prairie species to thrive. 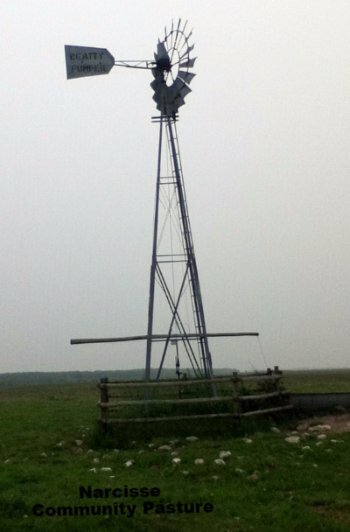 The Manitoba Government lent its support by providing transitional funding as well as leasing provincial Crown Lands in community pastures to AMCP, and, in exchange, ACMP will manage the lands in accordance with the following objectives: utilize the resource to complement livestock production and to manage a productive, bio-diverse rangeland and promote responsible land use programs. · Retention and recruitment of 38 employees in rural areas dedicated to pasture management and maintenance, animal care, and providing quality grazing for patrons. 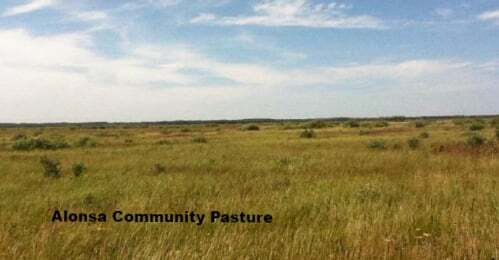 The adjacent Alonsa and McCreary Community Pastures are adjacent and have a combined total area of over 29,000 hectares. 22 species at risk have been identified in the immediate vicinity of the pastures, including the Borrowing Owl, Snapping Turtle, Northern Leopard Frog, Common Nighthawk, and Short-eared Owl. Over 85 native plant species have been identified at Alonsa and McCreary - key habitat for at-risk wildlife. The Narcisse Community Pasture is directly adjacent to the Narcisse Wildlife Management Area which contains one of the largest deer wintering sites in Manitoba and the world famous Narcisse snake pits. These are now a huge tourist attraction hosting the largest concentration of snakes in the world. 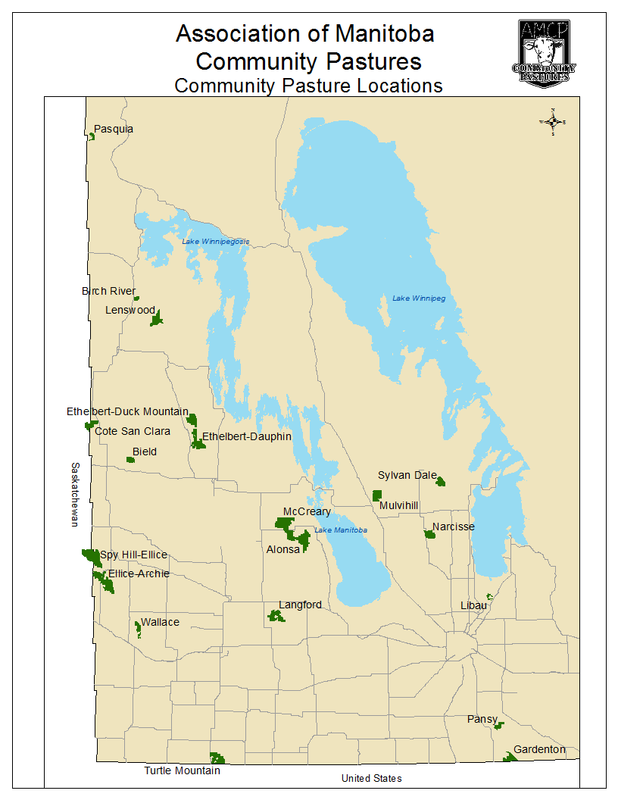 The Gardenton and Pansy Community Pastures represent over 5,200 hectares and 3,000 hectares of land located within the tall grass prairie ecosystem. Manitoba declared this ecosystem endangered in 2015: less than 1% remains in the province. Species at Risk that have been reported within the pastures, or adjacent to, include Canada and Golden-winged Warbles, Least Bittern, Peregine Falcon, Small White Lady’s-slipper, Western Silvery Aster, among many others.